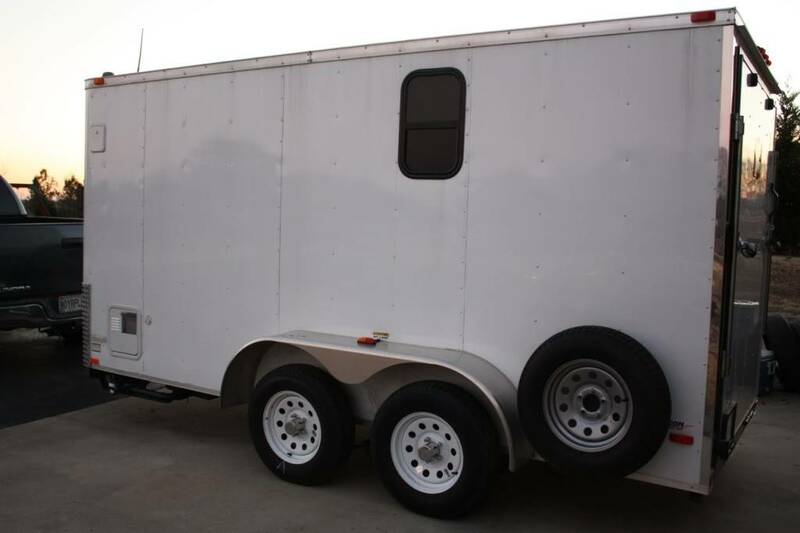 This is a 2010 Freedom brand cargo trailer that’s converted into a ToyHauler to carry Toys and camp in. 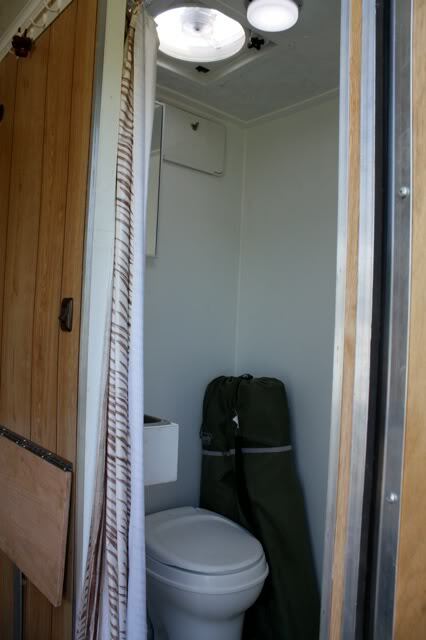 It has a Full bathroom with sink, shower and toilet. Has a 42 gallon Freshwater holding tank, 36 Gallon Greywater tank and a 15 gallon black water tank. 12v water pump, 6 gallon RV hotwater heater with electronic ignition. Has power converter and is wired for 12v and 110. Has a Jensen CD/Radio with MP3 jack and 4 speakers. Two inside two outside. Has a Fantastic fan in the bathroom. 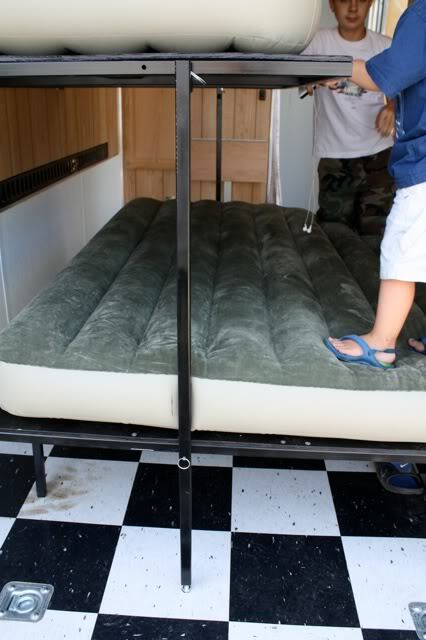 Has a fold down full size bed frame and twin sized bunk bed. Everything on the trailer works great and its only been used about a dozen times. Only reason why I'm selling it is cause I installed a Long travel suspension on my RZR and its a very tight fit going through the back door now. 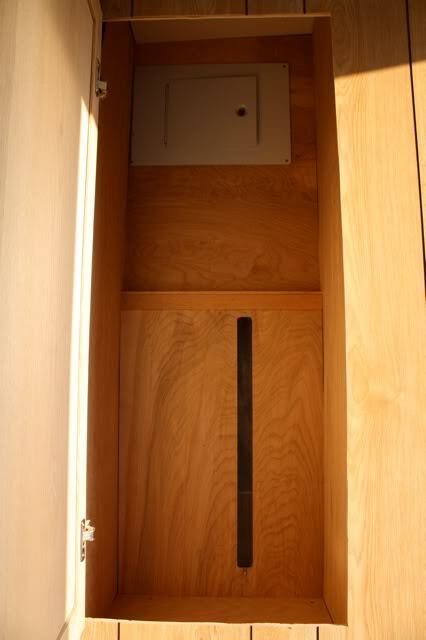 The rear door measures 62" wide by 72" tall. The total garage space is 70"wide by 11' long. 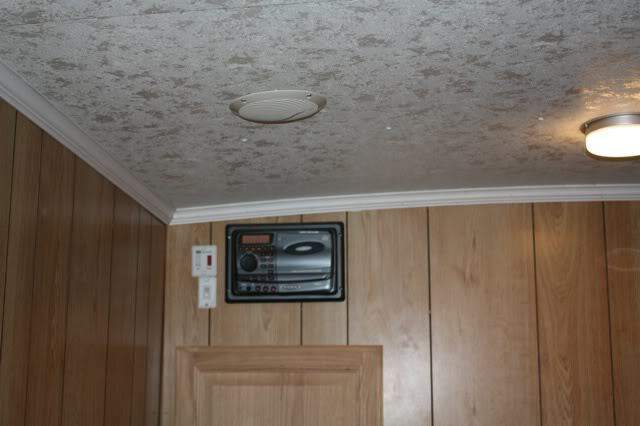 The ceiling in the trailer is 6'6" tall. This trailer is the best of both worlds.. Its a Steel frame cargo trailer with 16" on center floor and wall studs 3/4 treated plywood floor. Built much better then a wood framed Toyhauler, The plumbing and electrical is installed and functions just like a typical RV. Plug the trailer in it charges the battery and runs everything off of shore power.. Unplug it and everything runs off the onboard battery, minus the 110 outlet. It is wired and braced for Roof AC but does not have one. Best of all it only weighs about 2700Lb so it can Easily be pulled with pretty much any truck even most SUVs. Has brakes on both Dexter axles. Stabilizer jacks on all 4 corners. Asking 7,000 OBO. The trailer alone cost 4,400 a year ago. That is a nice set-up for sure!!!! Good luck with the sale. This is one nice trailer. I have seen it in person. That thing is real sweet! Thanks guys!! BTW didn't mean to make it sound like my RZR doesn't fit anymore. My RZR still fits even with my LT and my proarmor doors. 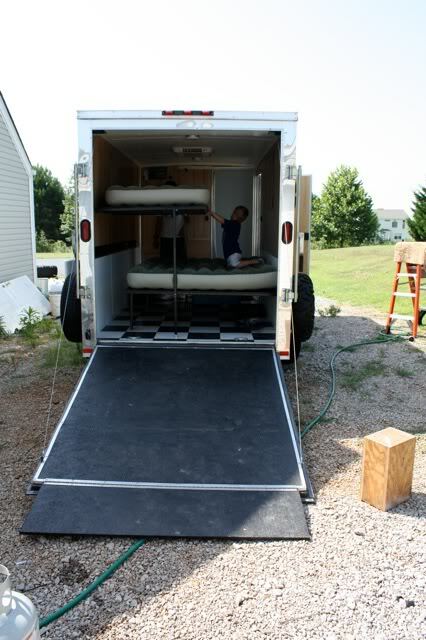 The door is 62" wide and the trailer is 70" wide on the inside. 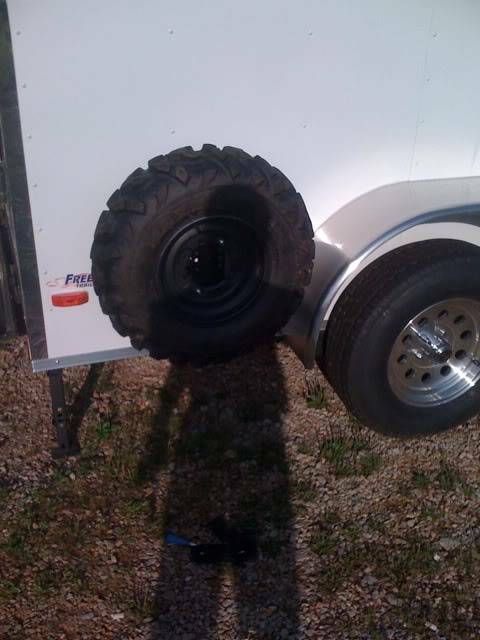 Its just a tight fit and we plan on moving up to a bigger trailer. 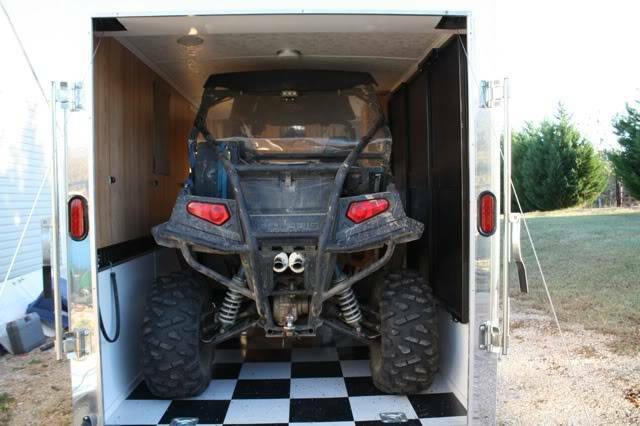 With the way my wife is talking maybe one big enough for two RZRs.. :) I will miss how easy this trailer is to pull around town though..
...... BTW didn't mean to make it sound like my RZR doesn't fit anymore. ..
LoL well a buddy of mine called me after he seen the post first thing he said was I thought you were bringing it to windrock in a couple weeks. 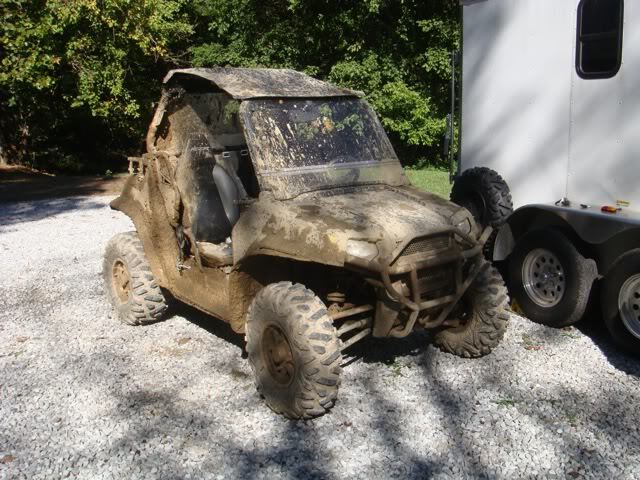 I didn't know your RZR wouldnt' fit now.. So I figured I might have worded it wrong.. We have used probably 6 times since I added the LT and doors. I did assume that is why you were selling it at first. But then I thought "Hell the thing should still fit". That is one pimped out trailer. Last time at Brimstone I took a tour of it. Someone will be getting a ready made sleeper/hauler. 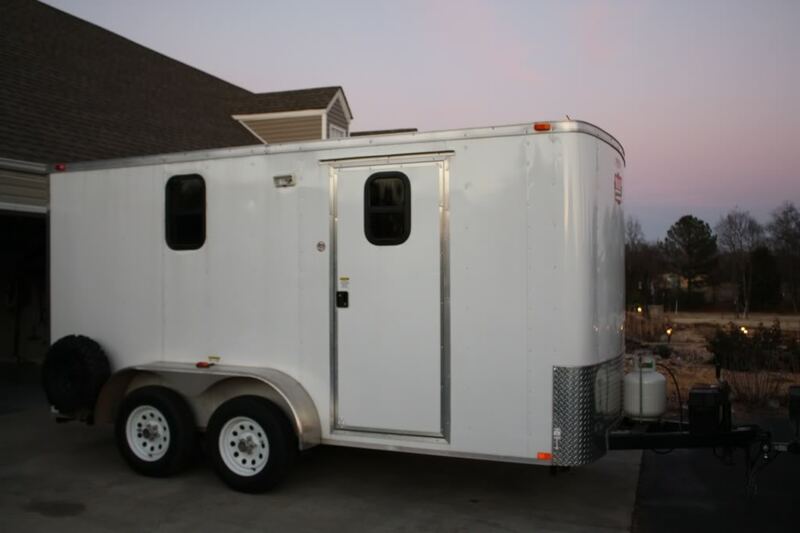 Ok guys I placed an order for my new trailer today so this one needs to get gone. Freedom makes quality stuff too. Good luck with the sale. Thanks Dave, I agree Freedom makes a nice trailer. Infact thats what my new one is also. But its long enough for 2 RZRs! that is a fine rollin stabbin cabin ! good luck with the sale. You about ready for mine to come down for some "renovations"?? Talked to william about it the other day. I told him he could bring it when ever he wanted to..
Man, if I only had that kind of spare $$ sitting around -- that is one sweet setup for weekend riding trips! Great job setting it up! Good luck with the sell, very nice camper! 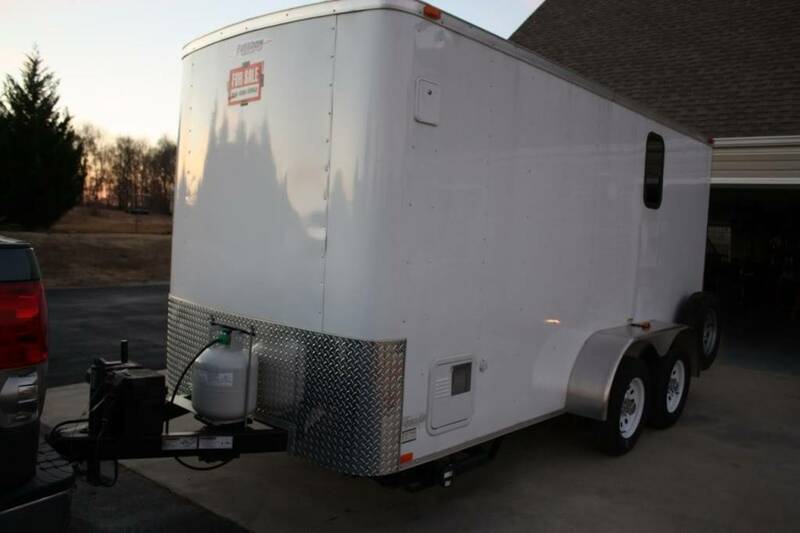 Subject: Re: 6'x14' Toyhauler/cargo trailer..
» 32' Adventure RPM Toy Hauler SOLD! !